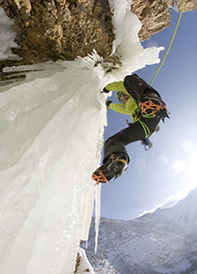 Combine ice axe and crampon training with climbing a spectacular, rugged, mixed rock and snow alpine climb along the well-protected West Ridge. Chimneys and aretes go at 5.4 and are protected well with natural pro and are belayed from fixed anchors. Descent is a walk-off to the east. The prominent South Ridge of this iconic Wasatch peak rises steeply to the 11,050' summit. Outstanding views, fun climbing moves, high-quality rock and an airy feeling make this a classic route in any season. Only a short approach is needed before class 3 & 4 scrambling and/or steep snow climbing begins. Join UMA guides and scale the rocky face you've admired for years that presides over the Salt Lake Valley. 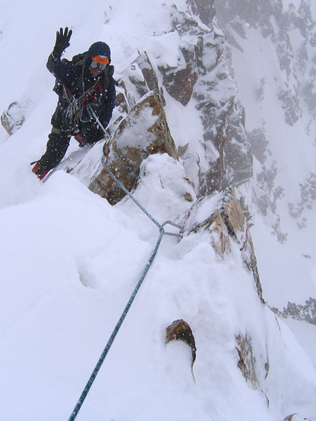 Spring ascents include axe and crampon skills work in the approach gully. Up to 10 pitches of 5th class climbing is belayed from ledges and / or with running protection. UMA did an excellent job of teaching us the basic snow mountaineering skills of climbing, self-arrest, crampon usage, roping, anchoring . . .
Craig was a very patient and friendly guide. I'd take a class from him again . . . 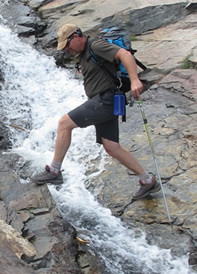 In summer and fall, we wear sticky-rubber approach shoes or alpine boots and travel primarily on dry rock. Popular moderate routes include Mt. Olympus West Slabs (Northwest Face) and Mt. Superior South Ridge. Climbers comfortable up to 5.8 may enjoy the Sundial and other remote Wasatch multi-pitch classics. 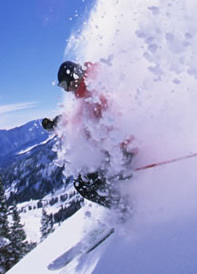 The feeling of elation upon reaching a summit is heightened by the challenges of winter conditions. November-May mountaineering is climbing on a mix of snow, ice and rock using crampons and ice axe, typically after an approach on skis, splitboard or snowshoes. Mt. Superior's knife-edged South Ridge is our classic single-day alpine route, and the airy North Ridge, or the friendlier East Ridge, of the Pfeifferhorn is usually a 2-day climb. 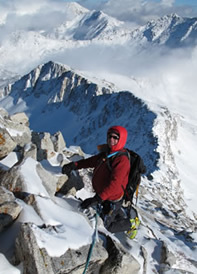 The skills and experience gained on Wasatch ascents are ideal preparation for future climbs on the major peaks of the world, including Denali, Rainier and the Grand Teton. 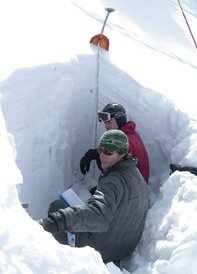 UMA prepares students in the rigors of snow mountaineering by instructing them in the use of crampons and ice axe, self arrest, belayed climbing, snow anchors, crevasse rescue and winter camping. Crampons, ice axe and boots are available for rent at local shops. UMA provides all technical team gear as well as tents, stoves, dinner and breakfast for overnight climbs. 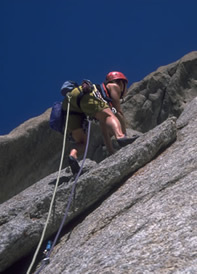 For more information on mountaineering classes in the Salt Lake City, Utah area, please view our Mountaineering Courses. We also offer private Guided Mountaineering & Alpine Climbing Instruction in the Wasatch Range in and around the Salt Lake area.